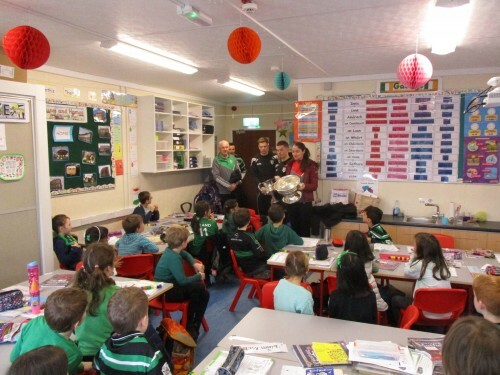 Last Tuesday we had a ‘Green and Black’ day at Rochestown Educate Together National School. This was held to celebrate the successes of Douglas GAA Club. 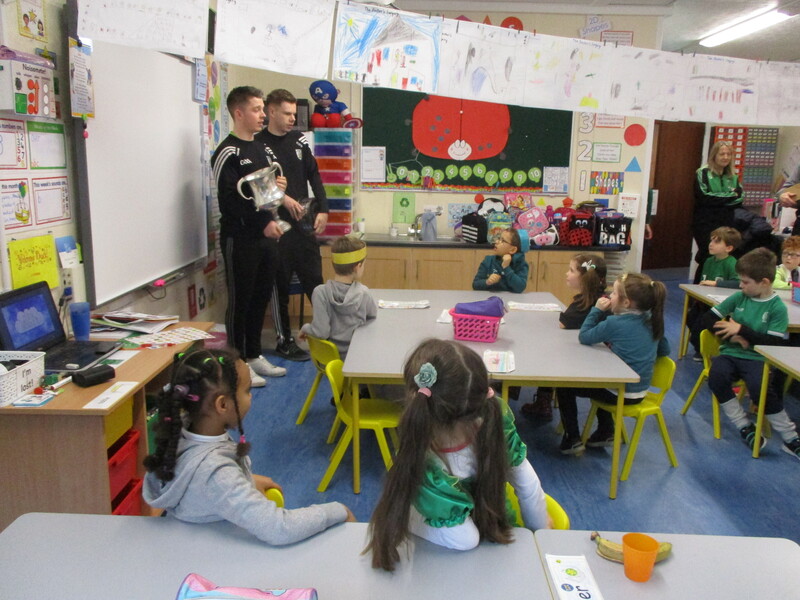 We were delighted to be visited by Cian and Donnchadh from their football team who won the County championship for the first time in 126 years! We were also very fortunate to be visited by Pamela Mackey, who plays camogie with Douglas. Pamela was part of the Cork team that won the All Ireland Final against Kilkenny last September. She was thrilled when she heard that we held a ‘Red and White’ day to support the Cork team. 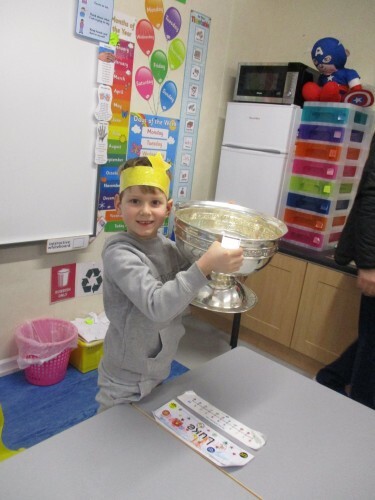 We couldn’t believe how big the O’Duffy All Ireland Cup was! Pamela, Cian and Donnchadh told us about the importance of keeping active and persevering. They also said that playing sports help us to make friends. 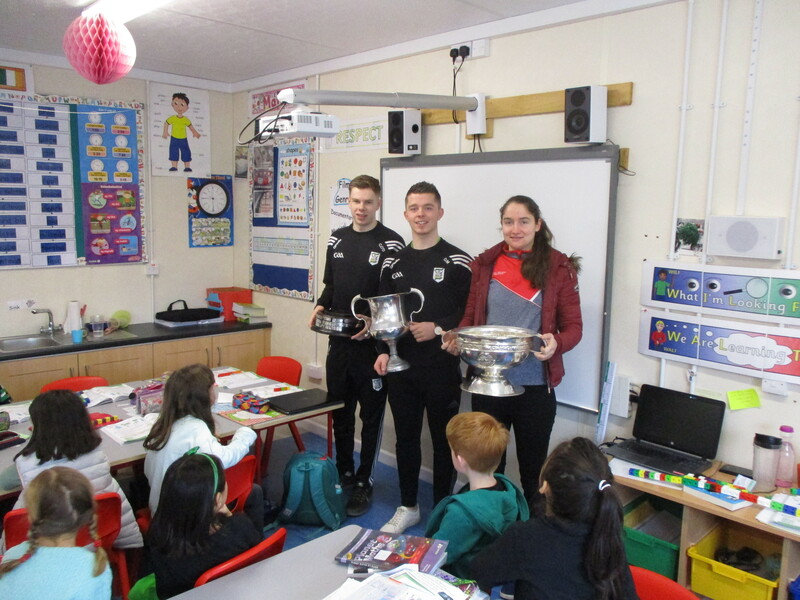 We would like to thank Pamela, Cian and Donnchadh for visiting our school. We would like to say a special thank you to Pat for organising the visit. Pat is a GAA coach from Douglas GAA who teaches skills to our pupils. Thanks Pat!